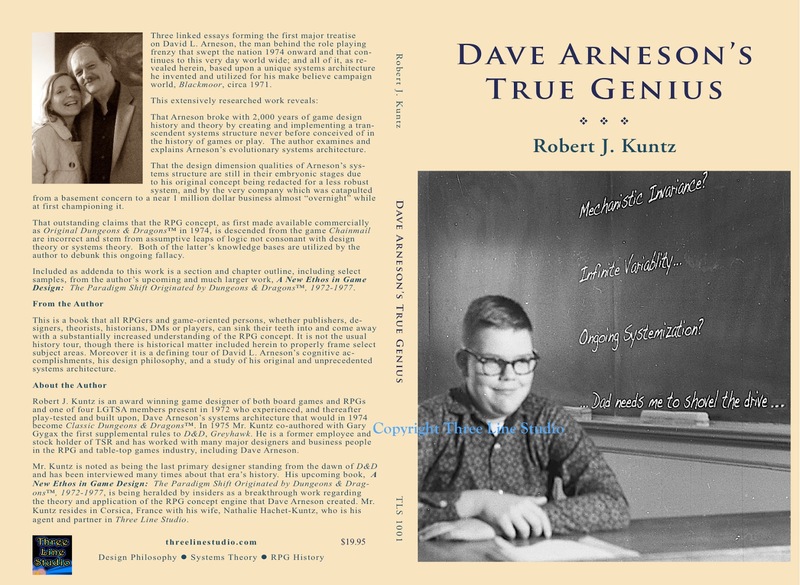 This is a highly reduced resolution JPEG of the cover for Dave Arneson's True Genius that my wife, Nathalie (with some specific help from myself on the graphics end, i.e., the concept lettering for the blackboard), finished today. Nathalie is very excellent at layout (and many other things, she always surprises)! Nat has proceeded to laying out the text. Meanwhile I am plugging away on 2 maps for 2 separate adventures as well as laying out TLS's first PDF product! We are getting excited here! I hope you are too! Initial reactions from buyers at BGG of El Raja Key Archive is at a composite 9.5 out of 10. Not blowing our horn too much here, but we expected very high ratings for this product. Almost 3 years steady production time went into finishing the project and it also launched a new adventure book line with it. 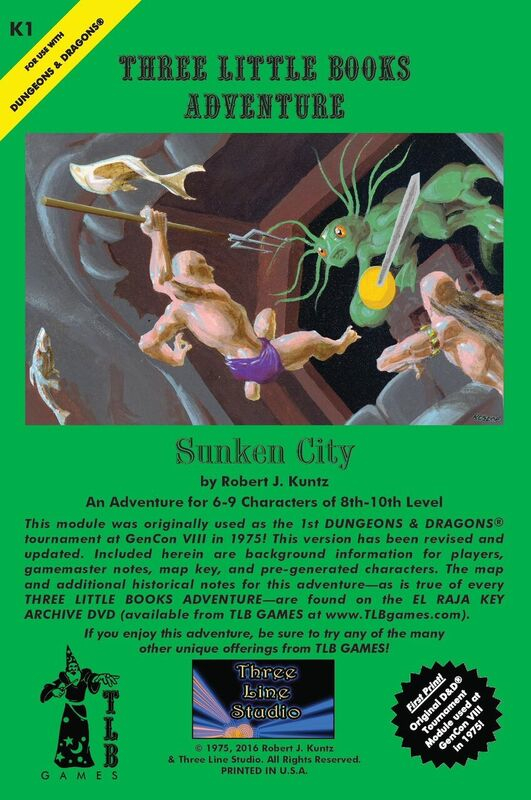 Its nearly 1,100 hi-res scanned files date back to 1971 and are a roadmap to pre-D&D, early D&D, ancient Greyhawk material, World of Kalibruhn, early TSR and so much more, spanning 48 years of my design history through the original artifacts that were auctioned 2005-2015 but, with foresight, were preserved for the gamers, collectors and historians through hundreds of hours of scanning work over that time. There has never been an item of this sort produced and made available for the public in the history of RPGs. TLB Games is currently running a Holiday Sale for ERKA (see link at the right side bar). Get yours before Santa heads back to the North Pole! Timothy Connolly and I had a week-long give-and-take resulting in an interview that should be of special interest to TSR/D&D historians and serious designers. 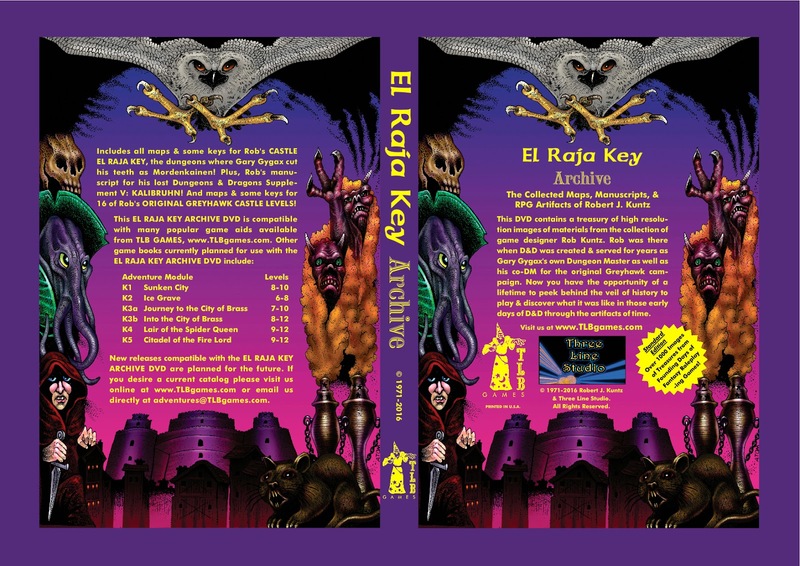 Check out our specials for El Raja Key Archive and Sunken City Adventure!